The main memory is compatible to 100 % for Lenovo ThinkCentre M81 Tower (0268, 1730, 4166, 4169, 5030, 5048, 5049, 5069,7517). The memory was tested by us. Free e-mail support for questions about memory upgrades. Our memory experts are ready to help with any questions. 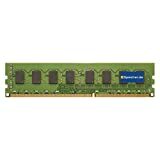 This 8GB main memory was certified for the Lenovo ThinkCentre M81 Tower (0268, 1730, 4166, 4169, 5030, 5048, 5049, 5069,7517) by us and is compatible to 100 % . The offered memory module meets both the quality and the system reqirements of the product. You always receive a qualified and tested brand memory, which is compatible to 100 %. For that reason the memory module can also be used together with the already existent RAM memories installed by the producer.